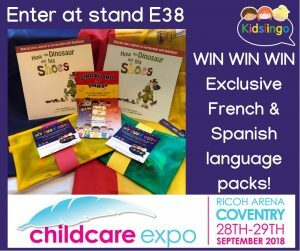 We have a host of onsite offers and exclusive discounts available at Childcare Expo Midlands 2018, plus lots of great competitions for you to enter! See our full list of competitions and offers below, and keep checking back to this page to see more as they are added in the run up to the show. Win a VIP Bundle for you and a friend! 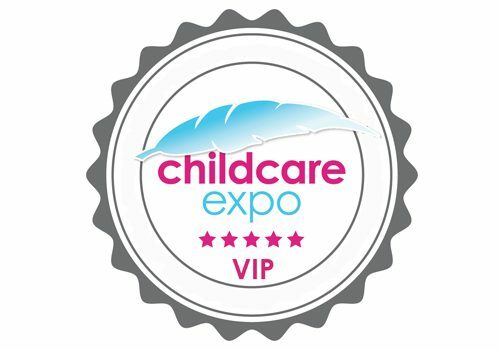 We’re giving you and a friend the chance to WIN access to all areas and a host of VIP benefits at Childcare Expo Midlands! To enter, simply register for the event using this link – or if you have already registered, please send us an email with your name and phone number, with “VIP Competition” in the subject line to enter. Win a Ukulele signed by Ben Faulks (also known as Mr Bloom from CBeebies)! Calling all aspiring Ukulele musicians! 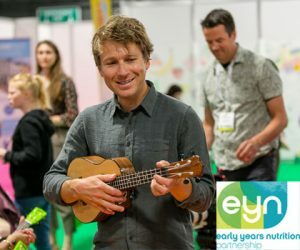 Enter this competition for your chance to become the proud owner of a Ukulele signed by Ben Faulks (also known as Mr Bloom from CBeebies), kindly donated by The EYN Partnership. To enter, simply register for your free ticket to the show by clicking here. If you have already registered, please send us an email with your name and phone number, with “Ukulele Competition” in the subject line to enter. All you have to do then is join us at the show on either Friday 28th or Saturday 29th September to collect your prize! The winner will be contacted one week prior to the event. 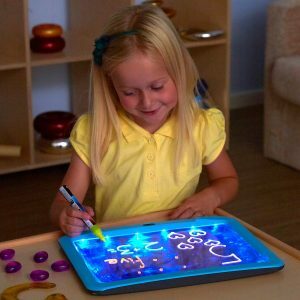 Visit Morton Michel, the childcare insurance specialist, on stand B4 for your chance to WIN an amazing Music Making Starter Set! 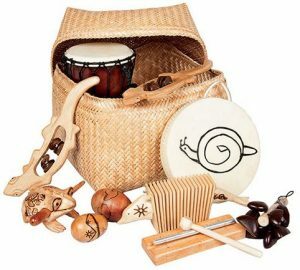 The set contains 10 instruments displayed in a beautiful woven basket and is a great way to help develop listening and speaking skills. Get 20% discount off all stock plus many other amazing offers including half price book and toy sets, sets of four Flip Up Fairy Tales for half price plus many sets of books at 25% discount. 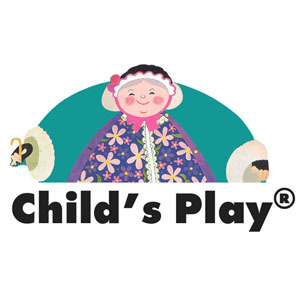 Visit the Child’s Play stand where you will receive a very warm welcome and a cheery smile. Visit us to find out more about the support we offer to childminders and our membership package. Sign up for Childminding UK membership at the show and receive 4 months FREE for the first year! Ask us about our offers on monthly subscriptions. Visit the eyLog / eyMan Stand (E36) and enter our raffle to win a 50% discount on a 1 year eyMan Nursery Management subscription. Win a 6 week block of Twinkle Toes sessions FREE for your Nursery, worth £180! 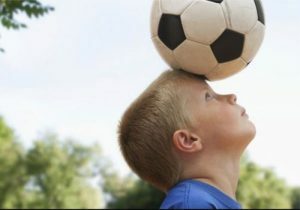 The winner will be the person who balances the ball on their head for the longest amount of time*! Come to our stand on one of the 2 days to have a go! Get practising! Win an exclusive Kidslingo language pack including a One Third Stories book, a My Busy Bots activity pack and a CD (2 to win). There are also 10 runners up prizes of French or Spanish music CDs. A FREE taster session is available to all new customers too. Enter in person at stand E38 – for more info visit www.kidslingo.co.uk. Enter the Parenta Halloween competition for a chance to win a hamper crammed with 1000 craft items! 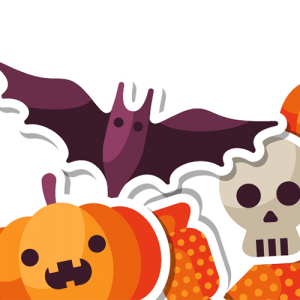 Download the Halloween craft templates here, create fabulous ghoulish decorations for your setting and get your camera ready! Details of how to enter can be found here, or you can visit our team on stand D25. 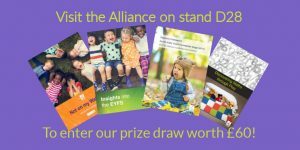 Visit the Pre-school Learning Alliance on stand D28 to talk to us about our latest offers, including an exclusive 10% off membership when you sign up today! PLUS every visitor to the stand will have the chance to enter our show prize draw with over £60 of early years resources to be won! 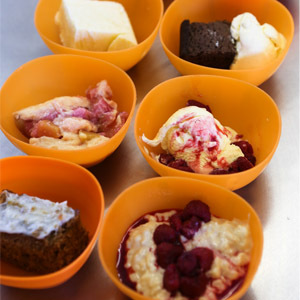 Free desserts for one month for new customers who sign up with The Nursery Catering Company at the show. Fill out a short questionnaire on the TTS stand to be in with your chance of winning a fantastic set of 4 Illumi Boards and six chalk makers worth £124.90! 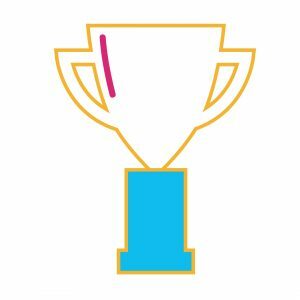 Enter our on-stand competition to win a Family Account of Widgit Online for a year! This program comes with over 17,000 symbols and is used for making printed resources. 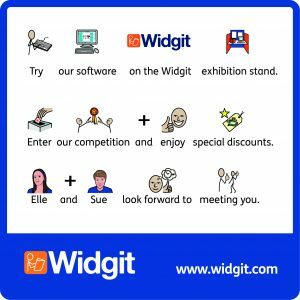 Take advantage of our show offer and receive a FREE resource with any InPrint 3 or Widgit Online order! Visit the YPO team for your chance to win a Town and Country Train Set worth over £40! Plus, pick up the latest copy of our free Little Learners magazine for full details of our competition to win a fantastic animal themed small world bundle.